This avocado oil is produced at room temperature from avocadoes grown in New Zealand and Australia. Cold-pressed avocado oil is the purest, first oil from the fruit and is known as extra virgin. You’ll love the delicate, buttery taste that will not overpower your favourite dishes and the wonderful health benefits. The avocado fruit is full of monounsaturated fats which help to reduce the amount of cholesterol in the bloodstream and is also rich in Vitamin E. Great for high heat cooking and as a base for salad dressings. Olivado use brown bottles for the oil to prevent sunlight from prematurely ageing the contents. The Olivado Extra Virgin Avocado Oil - 250ml product ethics are indicated below. To learn more about these product ethics and to see related products, follow the links below. Very lovely oil that is versatile and makes a change to olive-based oils. Like the previous reviewer, this is a great oil for salad dressings and is also very nice drizzled on a green salad with nothing else added. A great oil for salad dressing! 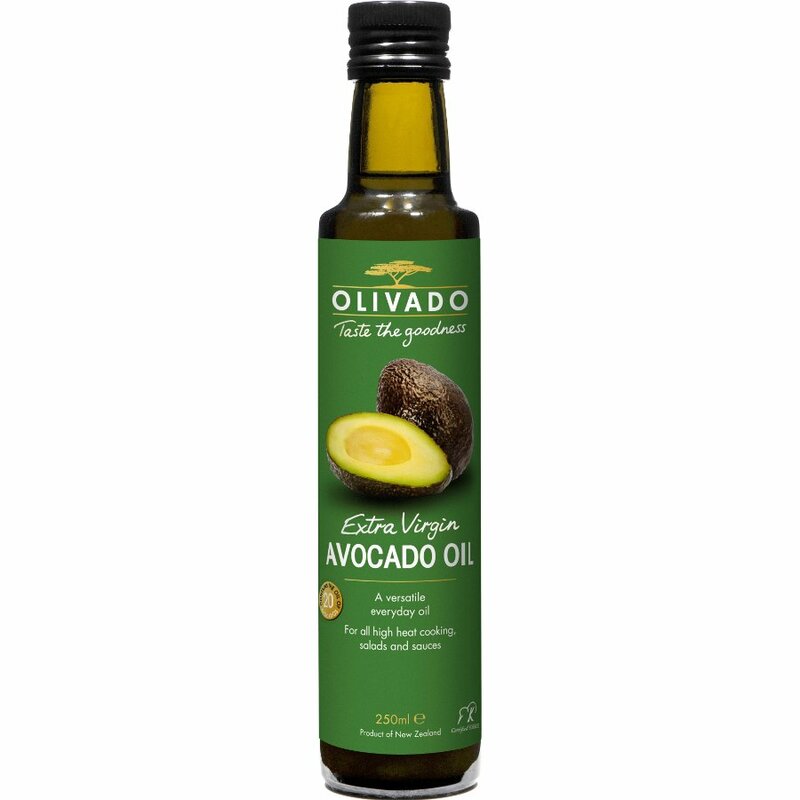 There are currently no questions to display about Olivado Extra Virgin Avocado Oil - 250ml.